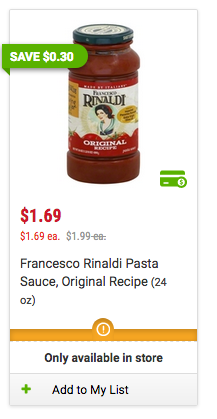 Francesco Rinaldi Pasta $0.69 At Price Chopper! Coupon doesn't double and you can only use one per transaction. That is sad, I'll update the post - thanks for letting us know!